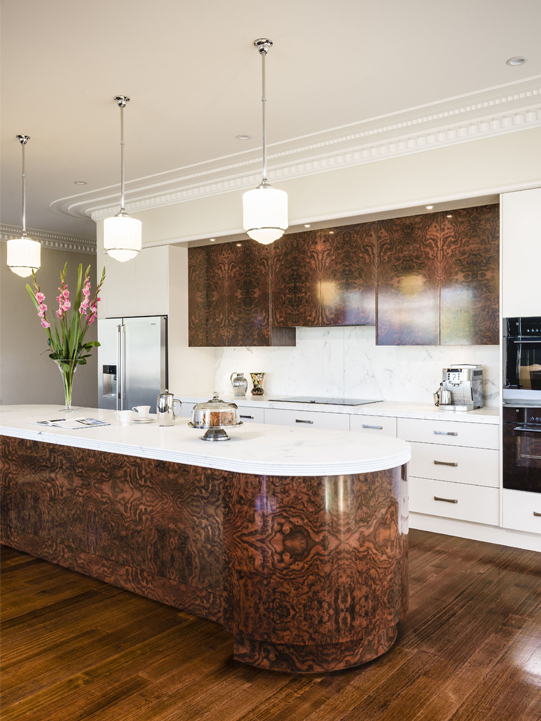 Book-matched dark variegated walnut burl veneer is the stand out feature of this kitchen. 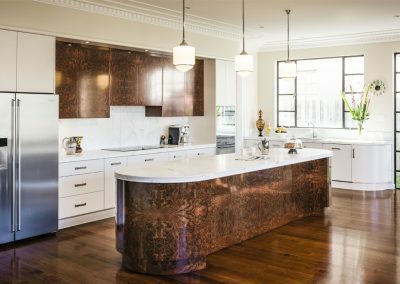 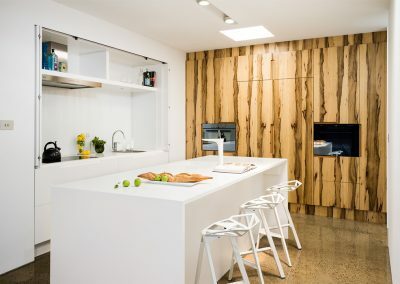 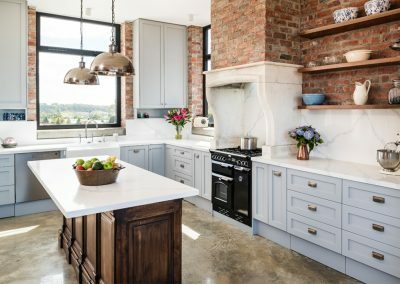 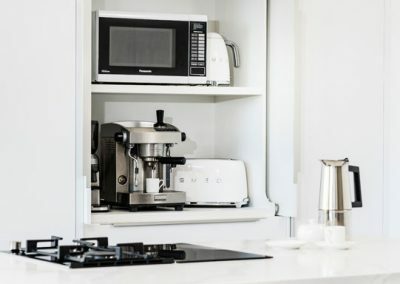 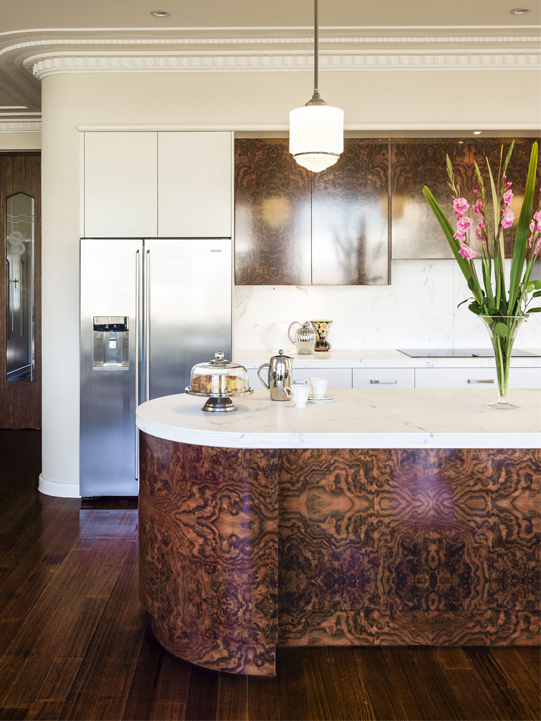 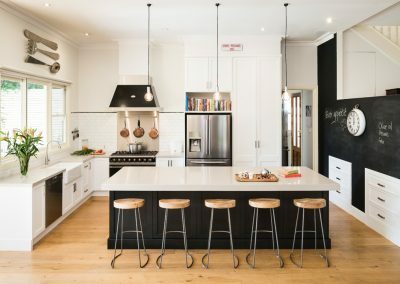 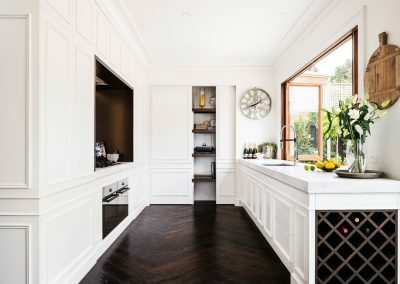 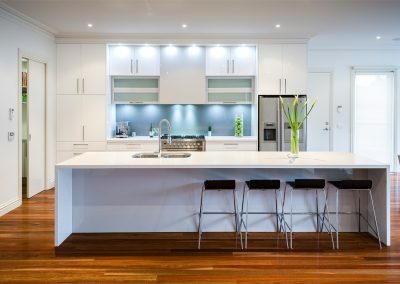 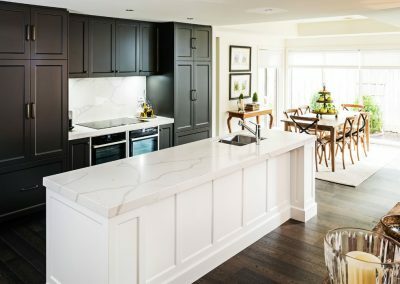 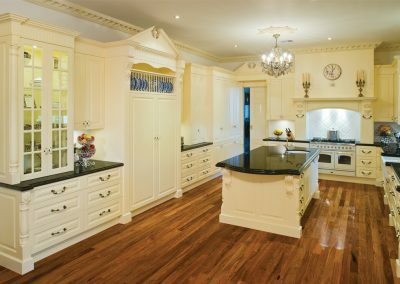 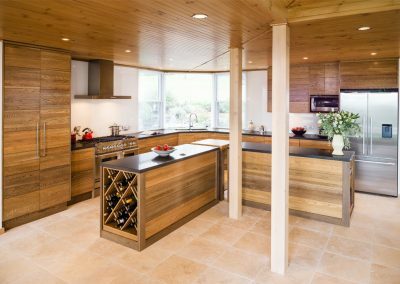 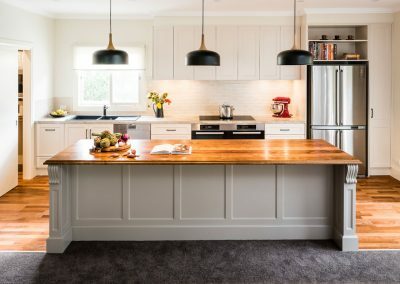 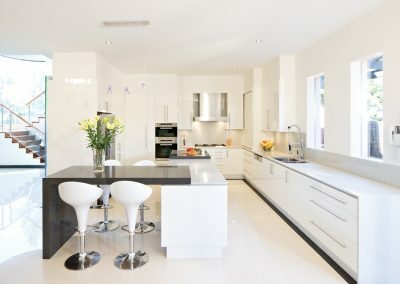 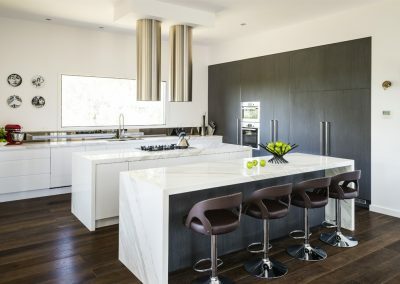 The homeowner wanted a kitchen that would be the focal point of the home and Smith & Smith Kitchens’ multi-award-winning designer Rob Barclay has met this request with the 4m curved-end walnut burl veneer island bench and complementing wall cabinets. 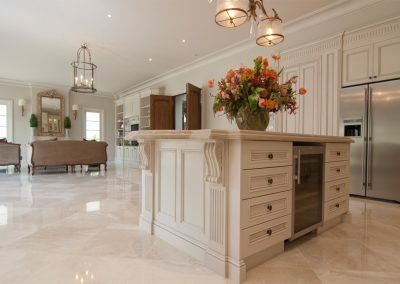 The veneer is lit by LED downlights to create a warm ambience, while pendant lights were purchased online from overseas specifically to suit the unique art deco style of the home. 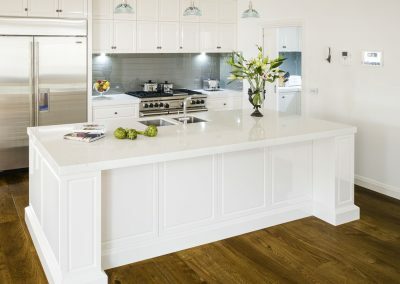 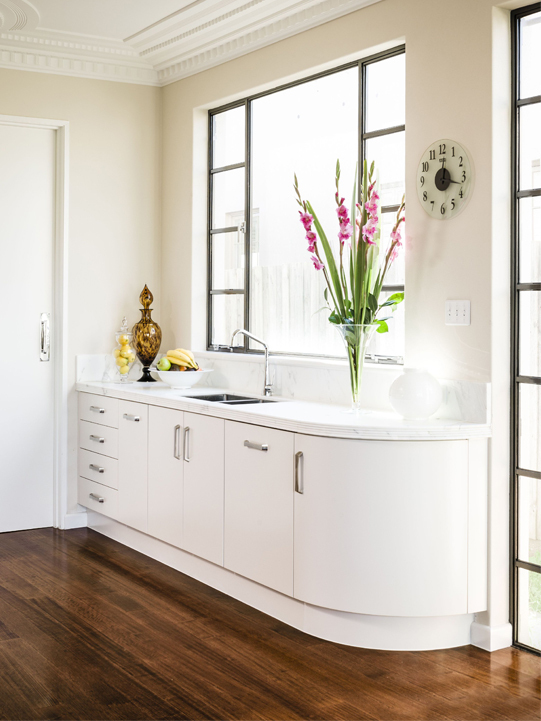 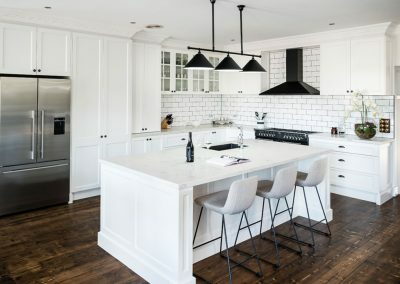 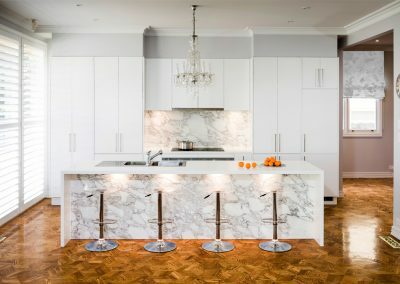 The edging of the 60mm Statuario marble benchtop was carefully hand-crafted to also match the home’s style. 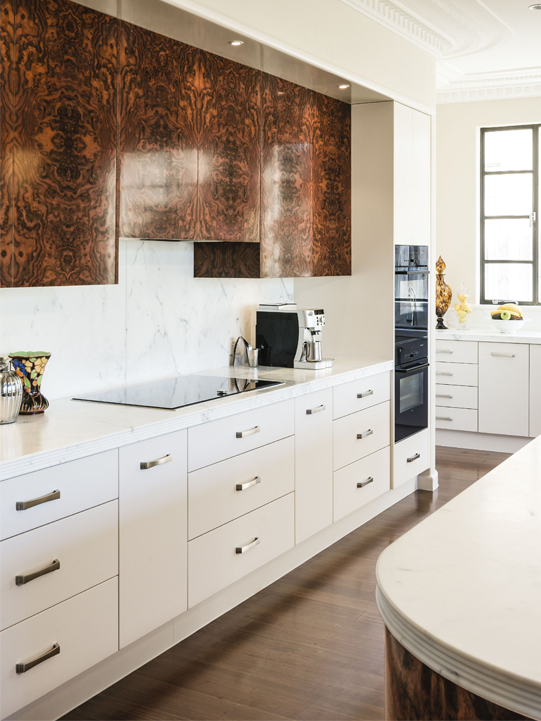 Two-pack polyurethane doors painted in Dulux ‘Grand Piano’ quarter-strength satin finish provide a simple backdrop to the kitchen, allowing the distinctive pattern of the walnut burl veneer to shine.